The first service of the High Holiday season is the S’lichot service, which usually takes place on the Saturday night that immediately precedes Rosh Hashanah. The S’lichot service introduces some of the main themes of the High Holidays, particularly that of penitence. The beautiful service is led by Rabbi Carl and Cantor Levine and features the EMJC Chorus. High Holiday services at East Midwood are deeply meaningful. They take place in our historic sanctuary, and the hours we spend there in prayer and reflection make this time of year one of spiritual cleansing and renewal. 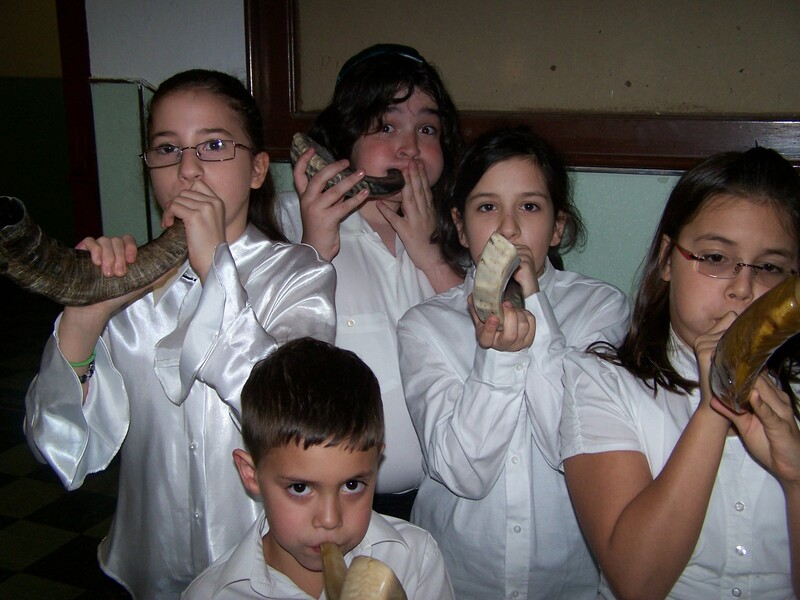 On Rosh Hashanah, the sound of the shofar reminds us that we must be awake to the sacredness that is around us, and that through teshuva (repentance), tefillah (prayer), and tzedakah (righteousness), we can renew our relationship with God and improve our relations with our friends, families, and neighbors. On Yom Kippur, we spend most of the day in the sanctuary. Through our stained-glass windows and dome we watch the light move from East to West over the course of the day, reminding us that as the earth spins, so does the cycle of the Jewish year, bringing with it renewal and hope. High Holiday services at EMJC are full of song – congregants participate all together as we sing melodies old and new. The EMJC High Holiday octet, made up of synagogue members, joins the cantor for a few select parts of the service. Transliterated copies of the High Holiday prayers are available for those who do not read Hebrew but would like to participate. Whether you are interested in joining us for all of our HH services, or just for Kol Nidre or Yizkor (memorial prayers), we are happy to answer questions at 718-338-3800. To meet the needs of our Russian community, a High Holiday service is held in Hebrew and Russian on Yom Kippur. For more information, please contact the synagogue office at 718-338-3800. We also invite families with children to participate in one of our free children’s services. Contact roomj@emjc.org for more information. EJMC holds services for all Jewish holidays. Please check our calendar for dates and times.